Complete home makeover in 2013 just like on HGTV! 8 foot addition & sunroom added. 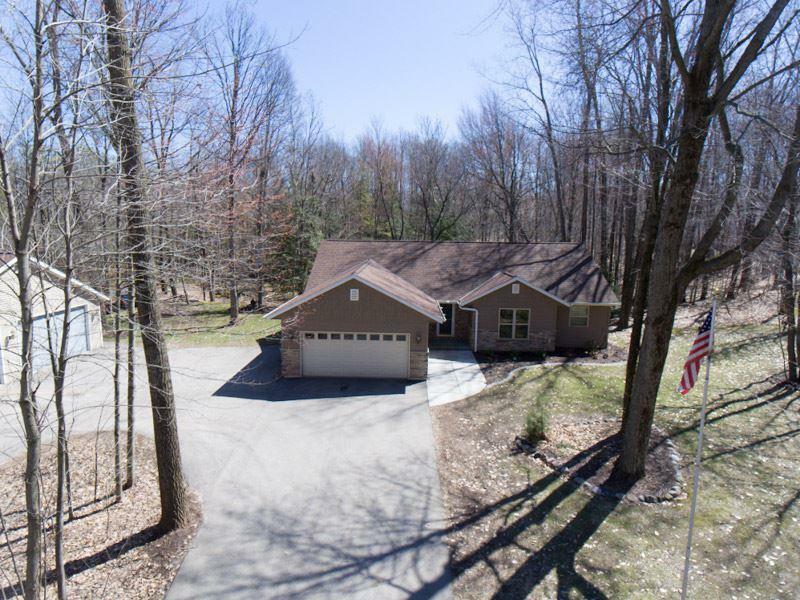 Private two wooded acres. Hickory HW flrs throughout most of home. Huge mster suite with private bath, w/i closet & built in desk area. Mster bath features heated flr, granite ctop, 2 sinks & large w/i tile shower. 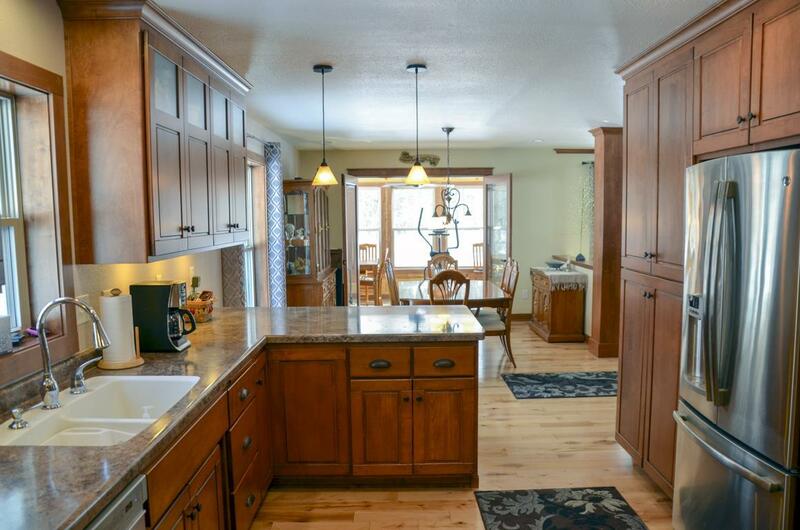 Sunroom has heated flr, access to maintenance free deck & awesome backyard views. 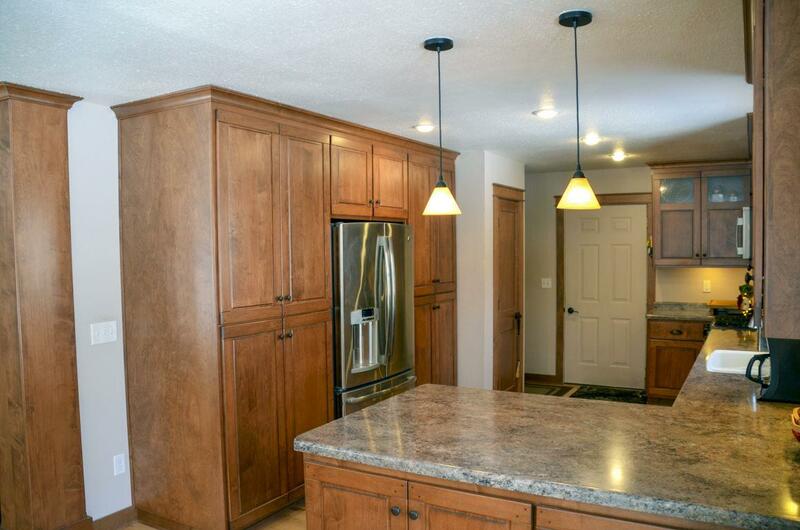 Maple cabinets in kitchen with many pullouts & soft closing. 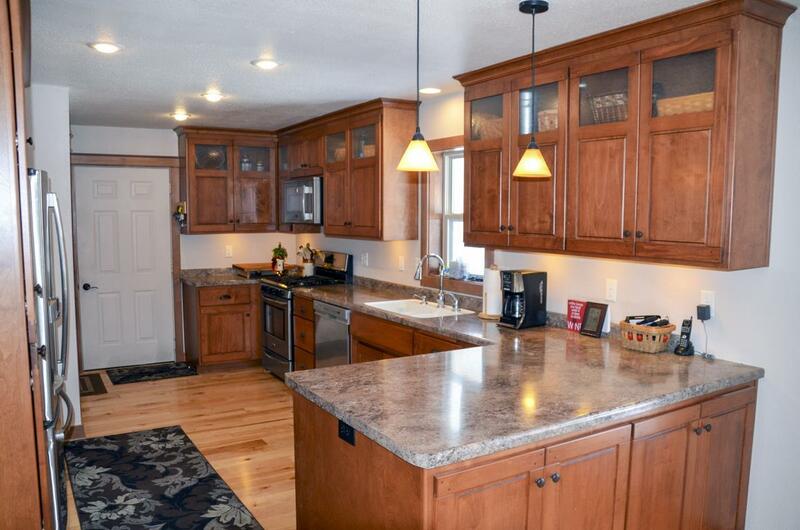 Large L/R offers stone gas f/p & vaulted ceiling. FF laundry/full bath combo. Detached garage is 36x40 with heated workshop & great storage above.